This week I had some personal issues come up which caused me to lose motivation to work out as often as I should. I usually work out to EA Sports Active 2 on the wii on Mondays, Tuesdays, Thursdays and Fridays. After I drop my daughter off at the bus stop in the morning I change into my workout clothes and fire up the wii. I was really good about sticking with this routine on Monday and Tuesday but on Thursday I was a little depressed and just did not feel like doing much of anything. I also skipped my afternoon cardio and evening ab routine. Despite all of this I still was very careful about my diet and still lost a couple more pounds and an inch off of my waistline. Today I tried to work out again to EA Sports Active 2 but I just couldn’t get through my workout. I kept on asking myself why am I doing this? 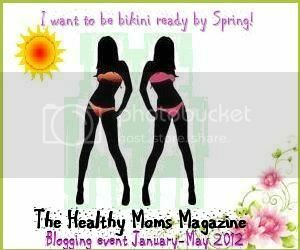 I know I need to stay healthy for my kids but what is the real reason why I want to feel comfortable in a bikini again? Who am I kidding? I am 33 years old and have been with the same man for ten years. Do I need to impress him or am I just doing this to prove something for myself? I shouldn’t feel like I need to impress my husband. He doesn’t care, right? It is just so hard to work out in the morning when I am tired and the kids are misbehaving. This week I just wanted to hide in my bed. Maybe the motivation will return next week. I think I need a wake up call or some kind of encouragement. Why am I doing this anyway? On February 10, 2012 my weight was 101lbs and my belly around the navel measured 26″.